WARNING! 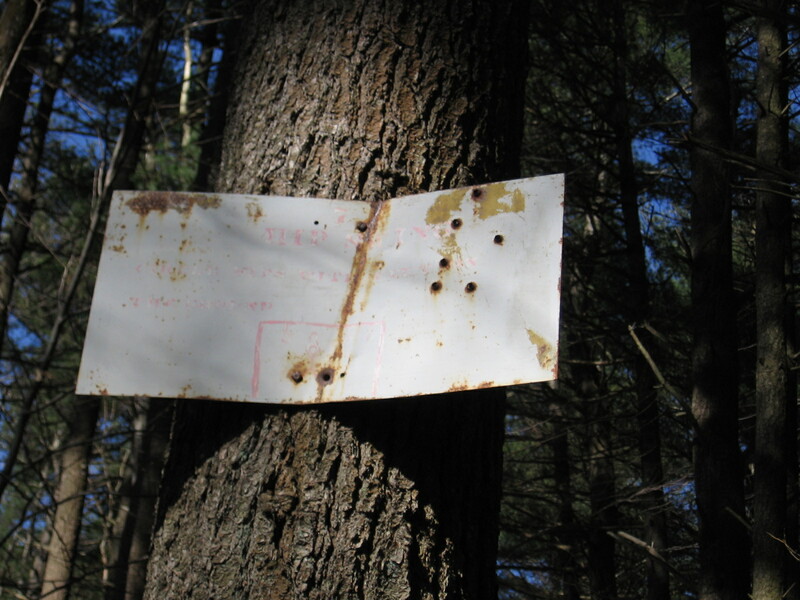 If you go into the Town Forest, do a very thorough TICK CHECK when you come out. I found one of the little buggers clinging to my stomach the day after my adventure. I went to the doctor and I’m taking all the precautions one should to prevent Lyme disease, but what an annoying ending to an otherwise enjoyable day. 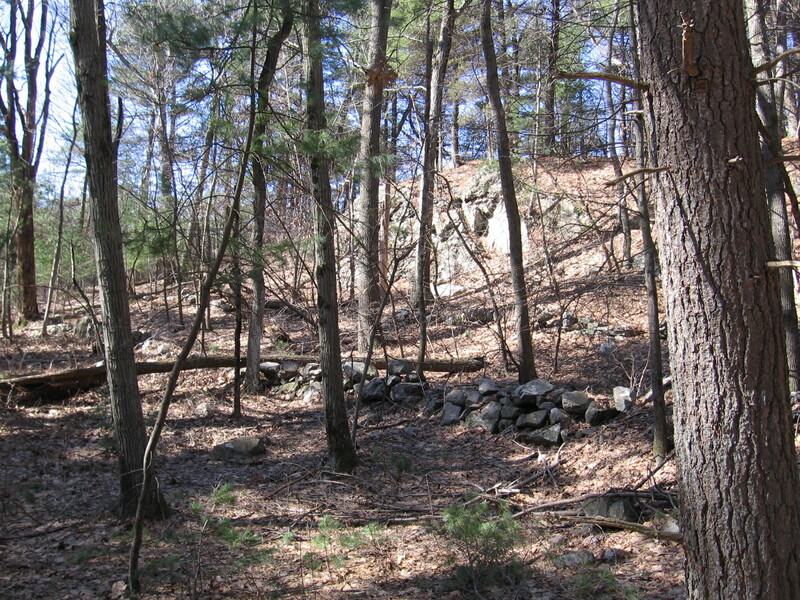 Plenty of meandering stone walls, indicating that this land was once farmed, perhaps as far back as the 1700’s. More research into who once owned the land to come. This gravel access road runs from the northbound lanes of 128 to the southbound lanes. It is gated, but the gates were open, so I suppose some foolhardy motorist could actually pull in here from the fast lane of 128. 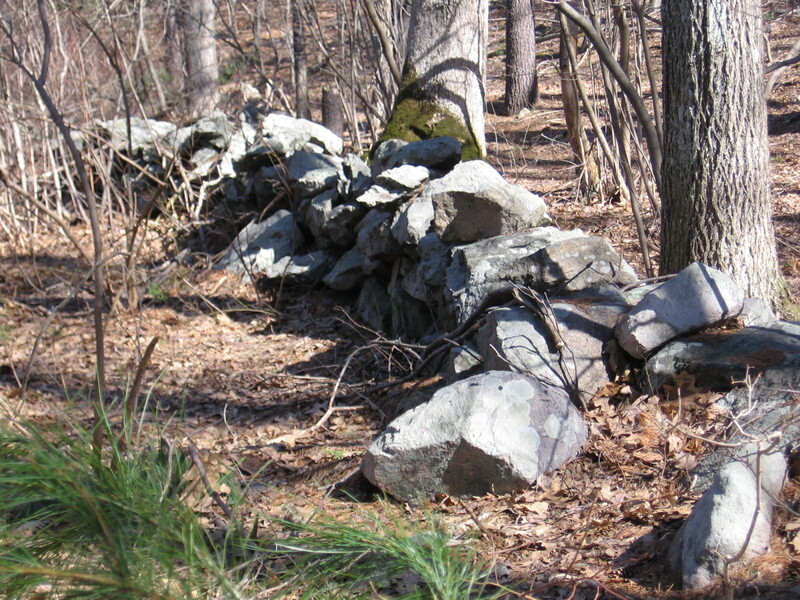 These rock formations explain why the area is referred to on old maps as “Ye Rockes.” It also explains why 128 had to be routed around the area, creating this large forested island in the middle of the highway. Your guess is as good as mine. Any theories? In 1977, fellow DHS senior John MacDonald set up an exercise course in the forest for his Eagle Scout project. 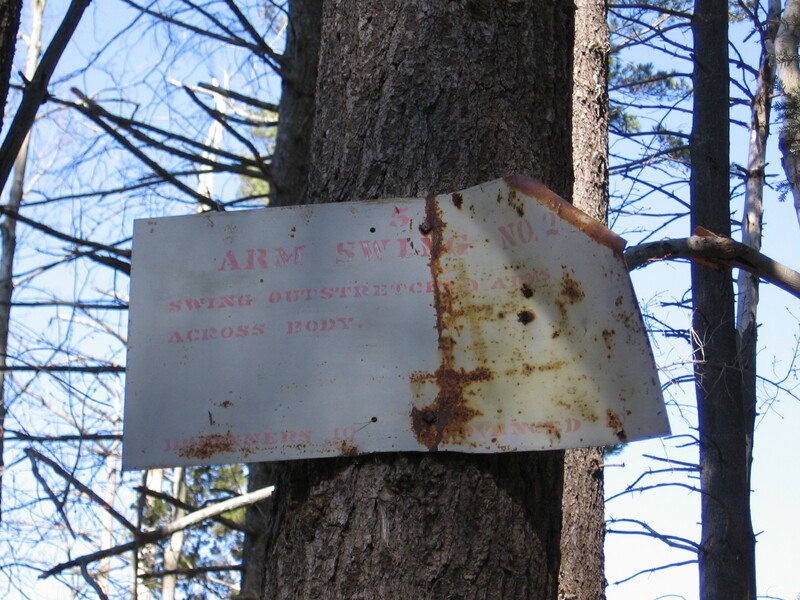 Several of the signs can still be found nailed to trees; a little rusty, some with bullet holes, others bent to interesting angles. 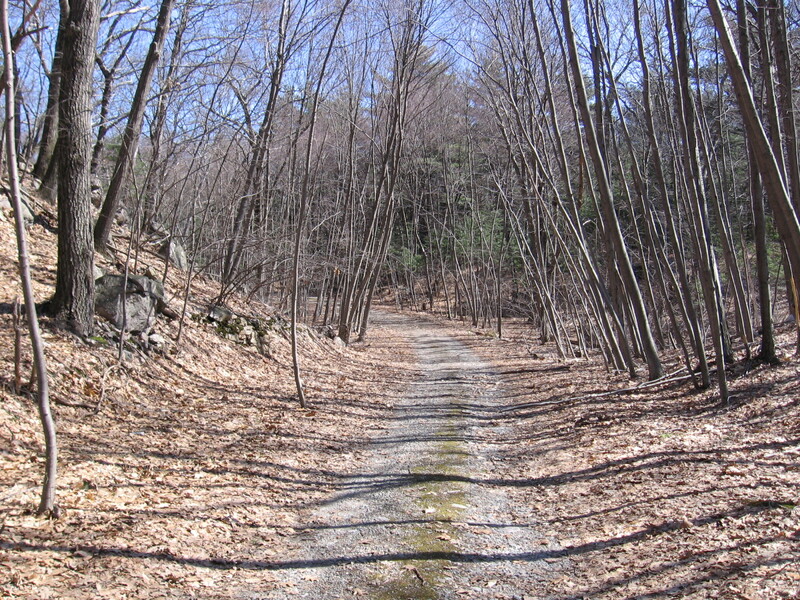 Despite its unusual location, I think the Dedham Town Forest is a great place for people to hike and explore. Perhaps another prospective Eagle Scout could take it on as a project- establishing trails, promoting its existence, and, if possible, wiping out the tick population! 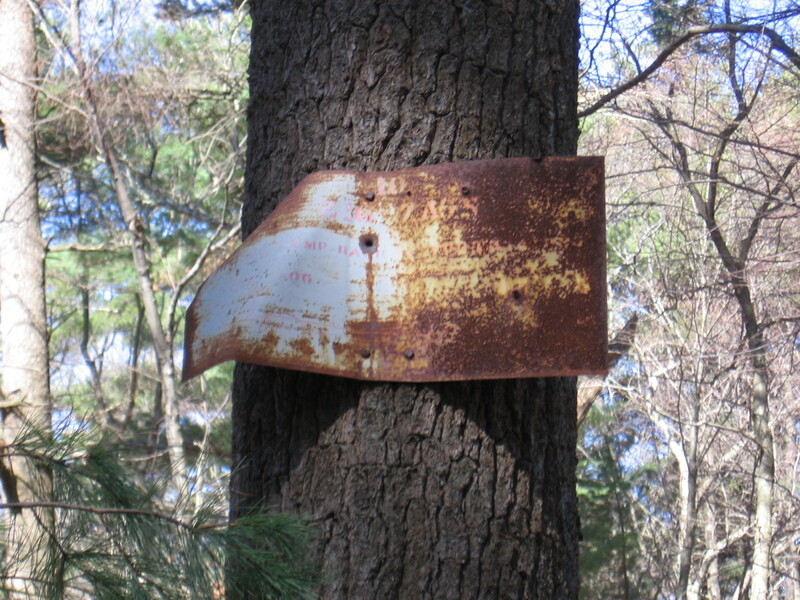 This entry was posted on March 27, 2011 at 9:29 pm and is filed under Lost Dedham. You can subscribe via RSS 2.0 feed to this post's comments. You can comment below, or link to this permanent URL from your own site. 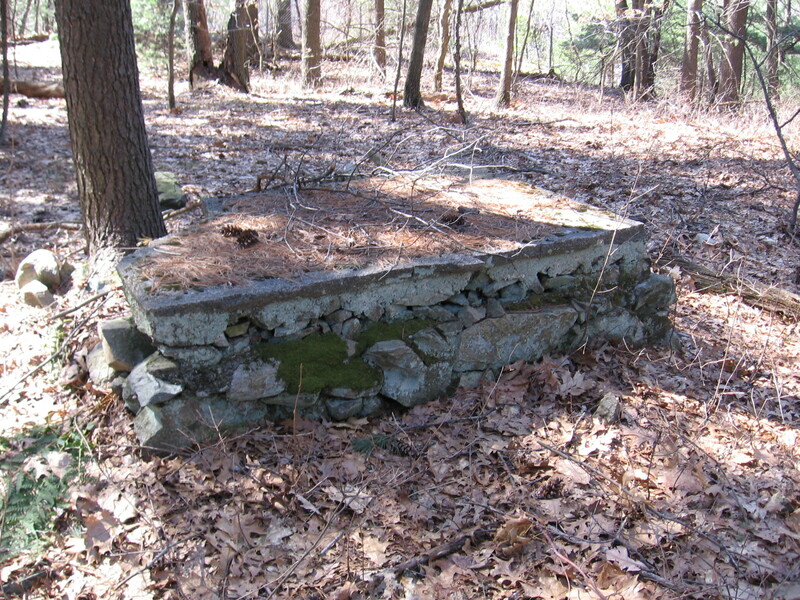 I wonder if the “weird stage/altar/picnic table/foundation thing” could be an old well head? Good possibility; I didn’t think of that. 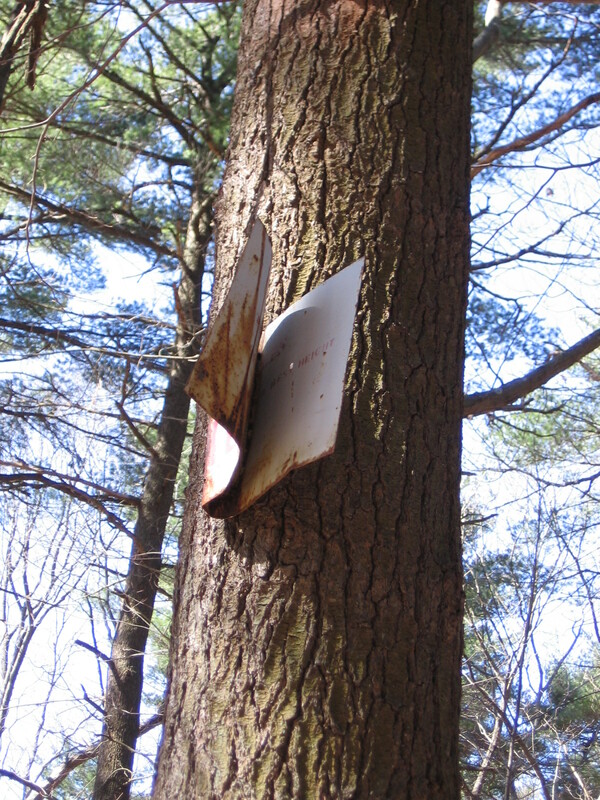 I guess the Danger-Mine Field sign is gone. My guess…..is that the rectangle-stucture marks some sort of burial site;most likely a beloved pet(horse?) or a golfer from Dedham Country and Polo Club across the way who didn’t pay his Green’s Fees or Polo Fees before playing golf or practicing polo on his horse.